Pakistan coach Micky Arthur said that his side’s outdated style of playing ODI cricket has jeopardized their chances of direct qualification to the 2019 ICC World Cup scheduled to be held in England. The top seven countries along with the hosts England have already been chosen to feature in the marquee event. Pakistan must perform exceptionally well in the next year before the cut off date. Arthur has advised his players and the PCB to move up the ladder if they need to play “high risk, high octane” cricket and also added that he won’t hesitate in dropping big names if they don't perform. When asked if Pakistan were lagging behind in the limited overs format, Arthur said, “With the brand of cricket they are playing, definitely. We can’t play that brand of cricket anymore. We have got to be brave. You have got to take the game on”, the coach added. Pakistan will play 14 ODIs till the cut off date and if they don't improve their ranking they will have to compete in the qualifying tournament in April 2018. Ten teams will contest against each other from which only two teams will qualify. “I have to be realistic. We haven’t got the time, but we have started the journey now. We will have to start again. I have got a really good feel for personnel and the areas we need to improve on. I have looked at people we can work with, people we can bring in and I am comfortable we will be okay. We have got the way to go and it is a journey”, told Arthur. “If we keep picking the same players, we are going to get the same results. And we will be sitting at No. 9 spot in the rankings. We have nothing to lose. We just have to invest in some players. I know for a fact that from the first ODI to the fifth in England we changed the whole brand and style of cricket”, Arthur quoted. Arthur admitted that his players have a history of performing poorly when they were insecure of their places in the team and said he wanted to change the situation drastically. “I want us to play an attacking brand of cricket, a brand that is good to watch, a brand that inspires the players to play and gives you so much more gratification from your supporters. It must be a brand that challenges, it must be a brand that stimulates, but it must be a brand that is encapsulated by fun’, added Arthur. 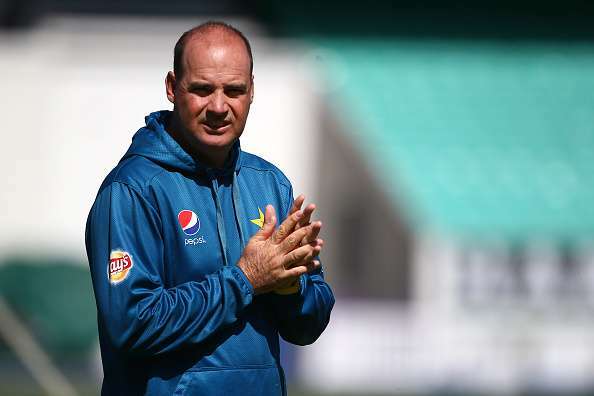 Arthur was introduced to the Pakistani cricket culture during his stint as the coach of Karachi Kings in the Pakistan Super League and was selected as the national coach in three months’ time. After his appointment, Arthur made it clear to his players that he won’t tolerate unfit members in the team. “We have got a responsibility to the people of Pakistan and I have got the massive responsibility to the PCB to get it right. And I certainly won’t be compromising on any of that. And the players know that: I have spoken to them directly. You arrive like that again unfit, you won’t play,” Arthur said. Arthur taking the names of Misbah-ul-Haq and Younis Khan aged 42 and 38 respectively said the other members of the team must learn from them that what it took to excel at the highest level.